Prior to June 1999, Moby was much better known in Europe, where he built his following as a principal architect of the hot electronic music scene. On the U.S. side of the Atlantic, techno never really took flight, and though it has served as the soundtrack for this country's underground rave scene, the audience is small in comparison to its European counterpart. Last June, however, Moby released the brilliant Play, which will forever change the techno scene and the way in which it is viewed. His album thrust the genre into the limelight, though he did so by augmenting the music with more traditional folk, blues, and gospel sounds as well as the field recordings of Alan Lomax. Simply put, Moby found a way to temper the coldness inherent in techno, by giving it a warmer flavor and a sense of timelessness. Were Play to be released on vinyl, it very well might have been a double album. As it stands, however, it's a single 60-minute disc. No matter — the songs and sounds envelop and hold the listener in a captive trance for its seemingly fleeting duration. The first half of the disc contains the more traditional tracks — at least by Moby standards. Find My Baby and Natural Blues both explore the Delta blues style, while giving it a modern twist and turning it into something bigger. Similarly, Why Does My Heart Feel So Bad? blends r&b and gospel, and Porcelain is a dreamy excursion of kaleidoscopic indie color. The latter half of Play delves into more experimental territory. Here, Moby uses instrumental passages and spoken-word pieces to create sonic landscapes that drift by as ambient soundtracks for a mixed-up world. Everloving and Guitar Flute & String are beautiful acoustic-based selections that capture an earthy, graceful air and gentle firelight glow. Likewise, The Sky is Broken finds Moby's pensive vocals drifting over a mesmerizing groove. However, Play is not as disjointed as this may sound. The album manages to transcend musical boundaries in ways many artists have dreamed of doing but few have been able to achieve. Each song seems to pave the way for the next, allowing for a smooth transition from start to finish. Further still, the individual tracks are connected by an overriding sense of spirituality, which stems from Moby's own devout faith in both God and humanity. Consequently, there's a humble and fragile temperament to the album that captures the frail nature of mankind. 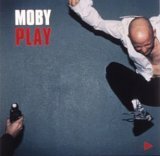 Whether Moby can ever surpass his accomplishments on Play is anyone's guess, and naturally, only time will tell. However, he's the one responsible for putting himself in this predicament by creating such a magnificent effort. Play is also available from Barnes & Noble.